Diverticular diseases affect the colon, which is the part of the large intestine that removes waste from the body. Diverticulosis and diverticulitis are the two specific forms of diverticular disease. Diverticulosis results from the formation of bulging pouches in the colon, and if the pouches become inflamed, the result is diverticulitis. Symptoms of diverticular disease include irregular bowel movements, abdominal pain and bloating. In rare cases, a sudden symptom attack could indicate a serious infection, digestive system block and a ruptured colon. The exact cause of diverticular disease is unknown, however, a lack of adequate dietary fiber is a factor. Probiotics are used to maintain intestinal health and increase the beneficial bacteria count to prevent diverticular disease and reduce its associated symptoms. Get a physical exam to diagnose the type of diverticular disease you are experiencing. Talk to your doctor about symptoms and get the appropriate tests to determine if you have diverticular disease. Depending on the severity of symptoms, you may need a digital rectal exam or colonoscopy in addition to blood work, notes the National Digestive Diseases Information Clearinghouse. Discuss incorporating probiotics into your diet once you are diagnosed with diverticular disease. Probiotics cannot cure the disease. However, in addition to following dietary recommendations by your physician, probiotics can help maintain intestinal integrity to prevent further damage. Stock up on L. acidophilus supplements. Lactobacillus acidophilus is a commonly used probiotic, also referred to as "good bacteria." This form of bacteria already exists in your body, however, diverticular disease can minimize the level of good bacteria resulting in disruption to intestinal health. This probiotic helps decrease diarrhea, intestinal infections and pouch inflammation association with diverticular disease. Choose tablet or capsule forms of L. acidophilus at your local health food store. Take the recommended daily dose of probiotic supplements. The standard daily capsule dose of probiotics such as, L. acidophilus or bifidobacteria, for treating diverticular disease totals 250mg per day taken in between meals, notes the University of Maryland Medical Center. Eat probiotic-enhanced foods as an alternative to taking supplements. 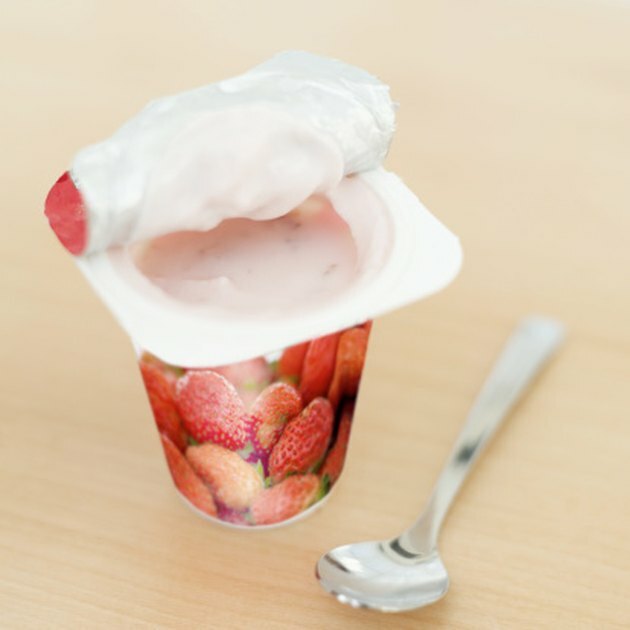 Dairy products such as cultured yogurt or milk, soy beverages and some juices come enriched with probiotics and are available in the grocery store. Look on product labels for identifiers that say "probiotic" or active and live cultures. MayoClinic.com suggests consuming eight ounces of probiotic enriched foods daily. Consult your physician for the exact dose needed to manage diverticular disease. Use fermentable fibers to increase the probiotic effects in your intestines. Prebiotics are non-digestible forms of fermented fiber that work with probiotics to improve digestive health. Prebiotics occur naturally in fibrous foods such as legumes, wheat and vegetables. Eat plenty of fiber-filled foods in addition to your probiotic-enhanced foods to achieve best results for preventing diverticular disease. Try to include five to eight servings of fiber-rich foods into your daily meals. Consult your physician before using probiotics to treat active diverticular disease. Mild side effects of using probiotics include gas or bloating. How Long Should Probiotics Be Taken?